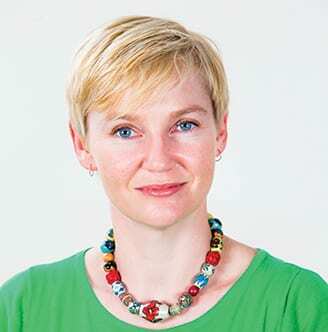 As a Neonatologist, Angela Williams is a paediatrician who specialises in the initial and ongoing care of newborn infants, particularly babies who are not well due to premature birth or other serious complications. These infants may often require medical support in the special care or intensive care nursery. Angela has had extensive training and experience in the care of critically unwell babies and understands how their long-term needs may differ from those of well babies. Angela also works with babies who are well, including for newborns’ six week check-ups. She cares for children who have been born at Greenslopes Private Hospital, or those who have required a significant period of time in the Neonatal Intensive Care Unit, up to the age of four. Angela has a good understanding of all potential special needs for babies and young children and supports families with advice, medical treatment or information on referral options if they require a particular type of specialist. Her aim is to manage each baby’s journey to wellness, supporting the baby and family through the crucial development stages so they can go home and continue to thrive. Angela earned her Bachelor of Medicine and Bachelor of Surgery at the University of Otago in Dunedin, New Zealand and was awarded her Fellowship to the Royal Australasian College of Physicians (Neonatal/Perinatal Medicine) in 2011. She completed her final years of training at the Mater Mother’s Hospital in Brisbane and has worked there with their ‘little miracles’ as a (locum) specialist neonatologist. She is currently completing post fellowship advanced training in Paediatric Clinical Pharmacology and is also undertaking a PhD with the University of Queensland School of Pharmacy in which she is trying to improve the drug treatment of babies who may have been oxygen deprived around the time of birth. Angela received the prestigious David-Henderson Smart Scholarship from the Perinatal Society of Australia and New Zealand in 2012 to assist in funding this. She is an honorary research fellow at the Mater Mother’s Hospital Brisbane and the Mater Medical Research Institute. Between 2012 and 2014 she did extensive specialist locum work in paediatrics and neonatology at hospitals in Brisbane, Grafton, Hervey Bay and Darwin.